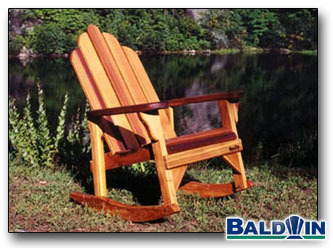 The Classic Rocking Chair is probably the best and most widely appreciated piece of furniture we build. It is extremely comfortable, yet easy to get in and our of. It has a wonderful rocking radius... It rolls way forward, and way back, but at no point does it seem unstable.